Click on image for digital flyer to share! In our ever-changing profession, we often teach a unit that doesn't go very well. The reasons are sometimes mysterious but always feel numerous: we didn't engage the kids, the material wasn’t a good fit, we didn't have enough time, there wasn’t enough practice – the list could go on and on. Think about those units this year – the ones you dread facing, the ones you know you don't have enough time to revise, the ones you are not confident in yet. What if you had a day to learn, reflect upon and revise those units? 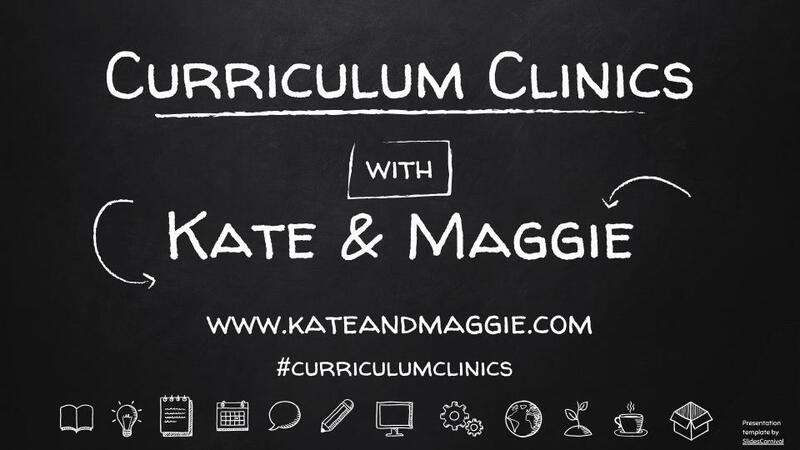 We are offering three “Curriculum Clinics” this 2018-2019 school year. A day devoted to making our units the best they can be. It does not matter what reading or writing unit you bring – perhaps it is a published unit, or a unit written by district leadership you want to learn better, or perhaps it is a unit you authored and it needs work getting off the ground. Whatever the unit is, bring it to us. We can help. Assess and support students as they learn individually…and more! There will be time each day to work on your unit independently or in the company of colleagues. These open work spaces will provide time to apply new learning, offer individualized support, and gather resources for texts, strategies or teaching tools.